The spread of what Dancing With the Stars contestants do after their season is wide. Best case, you go back to your world-class gymnastics victory tour or get a role in a Jean Claude Van Damme kickboxing franchise. Worst case, you go back to your stint on Fuller House: Almost Full, or return to the “role of your life” as a satisfied stay-at-home parent (no dis to parents). Rick Perry, the former governor of Texas who was eliminated after only three weeks on the contest, was lucky enough to finish his run on the show just as Donald Trump, a man who makes us redefine our conception of low standards, was on the ascent. 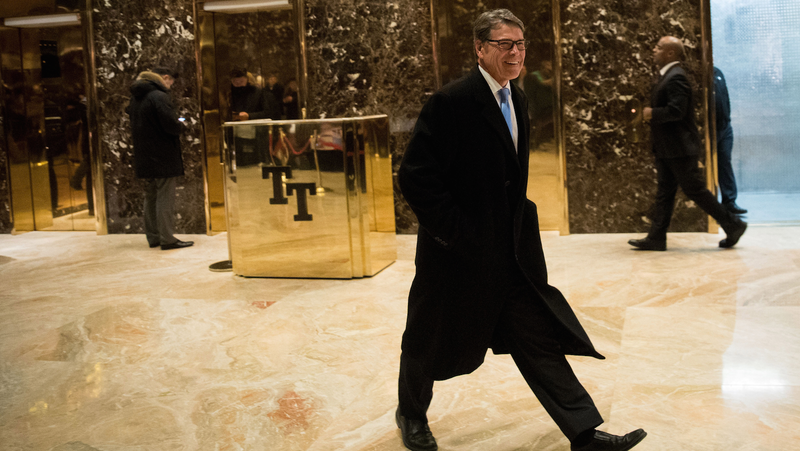 On Tuesday, news outlets reported that Trump would name Perry as his Secretary of Energy, a role which would require him to lead the federal department which he not only wanted to eliminate, but also famously forgot existed. The administration manages the country’s nuclear weapons stockpile and runs American programs on nuclear nonproliferation and counterterrorism. The two men who served as President Obama’s energy secretaries were physicists, one with a Nobel Prize, the other a professor at the Massachusetts Institute of Technology.